The boyfriend and I were bantering on the subject of iPhone vs Samsung Galaxy phones. He was going on about how the iPhone 5 is a huge disappointment (no doubt it is), but I was pointing out the fact that everyone I know who uses a Samsung phone run into battery problems (#truestory)! The boyfriend: Omg you are an Apple evangelist! The boyfriend: YES YOU ARE! *points* Look! 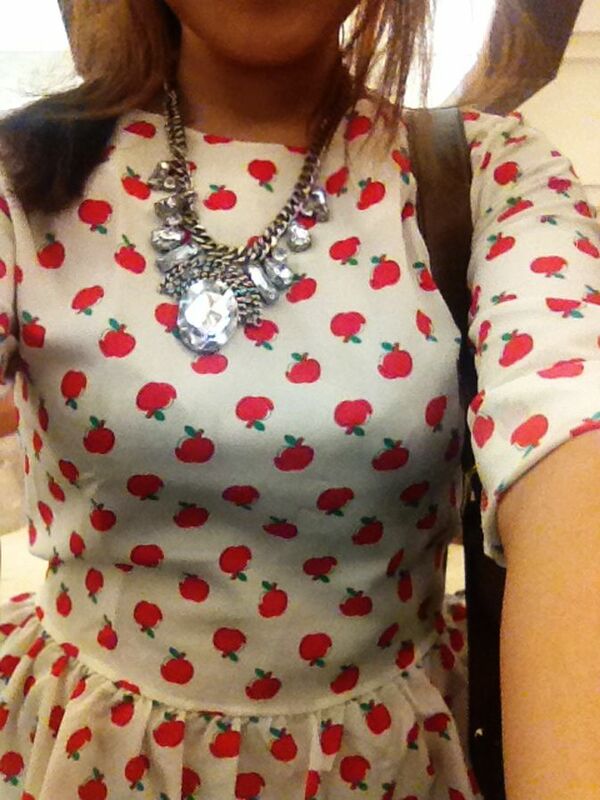 Wearing apple print peplum top from AZORIAS-- highly recommended for Apple fans wtf.